Planning to open an Offshore Bank Account for Yourself or your Company ? SFM is partnered with banks that have guaranteed low fee structures, and a customer focused approach. Where can I open my bank account ? Antigua and Barbuda is an independent Commonwealth country comprising its 2 namesake islands and several smaller ones. Positioned where the Atlantic and Caribbean meet, it's known for reef-lined beaches, rainforests and resorts. Its English Harbour is a yachting hub and the site of historic Nelson's Dockyard. In the capital, St. John's, the national museum displays indigenous and colonial artefacts. Antigua is a major offshore financial jurisdiction, which offers maximum confidentiality, a modern banking infrastructure, and excellent stability. SFM is closely partnered with all of the top tier banks in the region and can offer clients unrivaled support in setting up an offshore bank account in Antigua. Belize is a nation-state on the eastern coast of Central America. It is the only country in Central America whose official language is English. Belize has a diverse society, composed of many cultures and languages that reflect its rich history. Belize has a privatised enterprise economy that is based primarily on petroleum and crude oil, banking, agriculture, and merchandising. Belize has gained enormous popularity in recent years as a well trusted offshore banking jurisdiction. Depositors are rewarded with high quality, stable banking infrastructure and favorable rates on deposits. Cyprus is the third largest and third most populous island in the Mediterranean, and a member state of the European Union. The Cypriot economy is very diversified. Its per capita GDP is at $28,381, which is above the European Union average. Banks in Cyprus are well known for holding accounts for some of the most wealthy individuals worldwide. For many years, Cyprus has cultivated a high quality banking sector with favorably high rates awarded to depositors. Whats more, deposits of up to EUR 100,000 are guaranteed by the European Union. Dubai enjoys a central location between Europe, Africa and Asia, making it as a prime business destination for a variety of sectors. It is one of the safest cities in the world. Dubai is well serviced by international and local financial institutions and is a leading commercial center with a state-of-the-art infrastructure and outstanding business environment. Dubai’s highly regulated environment adheres to international best practices, while operating with zero personal and corporate tax rates, as well as 100% capital repatriation with no currency restrictions. This type of financial freedom is seldom found in such a highly developed business environment. Banks in Dubai are well known as being some of the leading financial institutions in the world, providing not only stability and excellent quality, but also complete confidentiality. The Hong Kong Special Administrative Region of the People's Republic of China, is a territory on the southern coast of China at the South China Sea. It is is an autonomous region with its own government. It is one of the leading economic and financial centers of the world and one of the primary banking centers of Asia. The population is 7,200,000, making it one of the world’s most densely populated areas. Hong Kong is the world's fifth leading financial centre. Hong Kong has one of the highest concentrations of financial institutions in the world. In 2014, Hong Kong surpassed Japan in average daily foreign-exchange trading volume. As one of the world’s leading financial hubs, Hong Kong remains very popular as a banking jurisdiction, rivaled only by Switzerland in terms of stability and banking quality. The Republic of Latvia is a country in the Baltic region of Northern Europe, one of the three Baltic states. It is bordered by Estonia, Lithuania, Russia, and Belarus. Latvia is a member of the World Trade Organisation and the European Union. Latvia has a stable and well developed banking infrastructure, catering to successful international corporate and private clients. Latvia is known for providing optimized infrastructure for corporate finance, creating high demand for accounts at it’s banks among trading and shipping companies. The Republic of Mauritius is an island nation in the Indian Ocean about 2,000 km off the southeast coast of the African continent. Since independence in 1968, Mauritius has developed from a lowincome, agriculture-based economy to a middle-income diversified economy. The economy is based on tourism, textiles, sugar, and financial services. Mauritius is ranked high in terms of economic competitiveness, a friendly investment climate, good governance and a free economy. 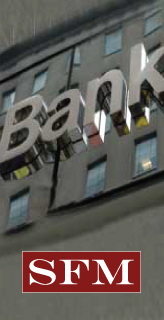 This has led to the rise of a stable and growing financial services sector, which has become one of the top banking destinations for people doing business on the African continent, and recently became a popular offshore banking center for European clients due to a high quality financial services offering and confidentiality. The Republic of Panama is the southernmost country of Central America. Revenue from canal tolls continue to represent a significant portion of Panama's GDP, although commerce, banking, and tourism are major and growing sectors. Panama has the second largest economy in Central America and is also the fastest growing economy and largest per capita consumer in Central America. Panama's economy has been among the fastest growing and best managed in Latin America. Having a long history as an offshore banking center, Panama is considered to be the financial « heart » of all of South and Central America. Panama banks are globally respected for their confidentiality and stability. Time zone: "Atlantic Standard Time" However, during most of the year due to the "Daylight Savings Time", from March to November, it has the same time as the East Coast of the USA. Political System: Representative democracy with division of powers or functions. The Governor and his Cabinet make up the Executive Branch; the Legislative Branch is bicameral and composed of the Senate and the House of Representatives; the Supreme Court, the Court of Appeals and the courts of first instance make up the Judicial Branch. Puerto Rico is a major financial jurisdiction, which offers trusted confidentiality and a secured banking system, and the clients/ Accounts funds are not exposed to the Puerto Rico debt situation. SFM maintains business ties with one of the top tier banks in the region and can offer its clients unrivaled support in setting up an offshore bank account in Puerto Rico. Nevis, along with the island of Saint Kitts, forms the sovereign nation of Saint Kitts and Nevis, a British Commonwealth state and smallest country in the Western Hemisphere. Among the first islands in the Caribbean to be settled by Europeans, Saint Kitts and Nevis was formerly home to the first British and French colonies in the region, thus garnering Saint Kitts the title of “The Mother Colony of the West Indies”. Today, the country’s political structure is based on the British Parliamentary system, however, Nevis has its own unicameral legislature, is permitted to create laws via the Nevis Island Legislature, and maintains a separate budget. Nevis offers an accommodating and stable business environment that respects the confidentiality of International Business Companies resulting in an ideal and convenient location for corporate offshore set-ups. Indeed, the island offers among the most secure IBC laws worldwide, guaranteeing client privacy with low financial risk, thus making Nevis a popular choice for establishing an offshore business. The only offshore banking system in the Federation of St. Kitts and Nevis offering an outstanding opportunity for clients to benefit from the advantage of a jurisdiction which promotes Stability and Integrity. Bank of Nevis International Limited was incorporated under the Nevis Business Corporation Ordinance Act of 1984, on April 29th 1998 as a wholly-owned subsidiary of The Bank of Nevis Ltd. The Bank commenced business on July 1st 1998. Time zone: Singapore Standard Time (SST) or Waktu Piawai Singapura (WPS), also known as Singapore Time (SGT), is used in Singapore and is 8 hours ahead of UTC (UTC+08:00). Singapore has been independent since 1965. It is one of the most economically and socially developed countries in the world. Also called, "The Switzerland of Asia" because of its high quality of life, Singapore has experienced exceptional growth thanks to its particularly advantageous maritime position, which has allowed it to become a real financial and trade hub between the Pacific and Europe. The economy of Singapore is primarily based on banking and financial services, the electronics industry, the Creative Technology, and the maritime sector; its port is ranked in the premier class in the world in terms of exports and oil. In spite of past socio-economic challenges, Singapore’s political system has been remarkably stable since independence. It is a republic with a parliamentary regime, and the city-state practices economic liberalism. Singapore is a main financial jurisdiction, which offers confidentiality and a secured banking system. The attractive regulations, along with its strategic location, make Singapore a proper banking hub. More than 200 banks operate in Singapore. SFM maintains business ties to top tier banks in the region and can offer its clients support in setting up their corporate bank account in Singapore. Saint Vincent and the Grenadines is an island country in the Lesser Antilles Island arc, in the southern portion of the Windward Islands, which lie at the southern end of the eastern border of the Caribbean Sea where the latter meets the Atlantic Ocean. The official language is English. English is used in education, government, religion, and other formal domains. St Vincent is a major offshore financial jurisdiction, which offers maximum confidentiality, a modern banking infrastructure, and excellent stability. SFM is closely partnered with all of the top tier banks in the region and can offer clients unrivaled support in setting up an offshore bank account in St Vincent. The Old Swiss Confederacy was an alliance among the valley communities of the central Alps. It was the foundation of the world’s most direct democracy and one of the most developed, modern countries. Swiss banks are known to be some of the best, most reliable and stable financial institutions in the world. Being one of the main industries in Switzerland since its foundation, Swiss banks have a reputation for providing their clients with unmatched expertise and banking quality.